Like I said last year, I don’t have a favorite actor, but if I did, along with Harry Dean Stanton, Willem Dafoe would be a top contender. The Hunter makes that clear. 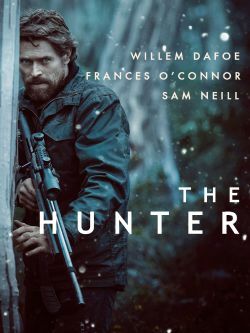 This movie proved to me that, I can watch Willem play anything. His endlessly interesting face, his smooth voice, his physical performances, his subtle expressions and characterizations—he is a master actor. I am fully at his mercy. See last year’s pick here.